Let's wrap up the week with another retro review. This time we're taking a look at Viewtiful Joe: Red Hot Rumble for the Gamecube. This game also hit the PSP, and it's the same game only on a smaller screen. Viewtiful Joe premiered on the Nintendo Gamecube in the fall of 2003 with much critical success. And as we know Capcom with critical success and sales comes the milking of the franchise. A sequel followed for both the Cube and PS2, and then a handheld title for the DS. The final game in the span of two years is Viewtiful Joe: Red Hot Rumble. This title is a mix of a party game and a fighting game which is also simply a way to endorse the animated series than the other VJ games. Fighting each other is the least of your worries. Each movie or level is comprised of three scenes followed by a final boss battle to conclude the movie. In each scene you compete against one to three CPU players while attempting to complete objectives to let you go on to the next scene. These objectives include winning by 4000 viewtiful points, to having the most viewtiful points at the end of the round, to simply staying alive the whole scene. In each scene gameplay is split up by miniature objectives such as collecting gems, beating the most enemies, staying alive the longest, etc. You earn viewtiful points for being the winner of each task. The player with the most points at the end of the scene wins. You'll come across bosses such as a pair of elemental tigers in Fire Leo and Frost Tiger, an axe-wielding Hulk Davidson, and even a statue of Poseidon. These battles are quite fun and add some more variety to the gameplay. The powers you know and love from the previous Viewtifuls are here, but not in the form you might expect. Slow brings everything to a crawl allowing your punches to be strengthened, Mach Speed catches your fighter on fire and allows him or her to fly across the screen in burning glory, Zoom makes your fighter two times tall and two as powerful, and Sound FX shoots out sounds which cause damage to your enemies. One of the many boss battles the game presents. My main problem with the game is that it's sometimes disorienting and confusing. All the graphical flares of attacks, fire, enemies, and characters can look like a bewildering mess of confusion-- this is especially so if you have four players. This game can also be extremely cheap. Some of the characters are unbalanced such as the yo-yo throwing Captain Blue Jr. You'll be doing well and winning a lot of the aforementioned sub-objectives when all of a sudden you'll get killed cheaply, lose a large portion of the viewtiful points you earned, and have your opponent(s) reap the rewards. Occasionally the game feels like no matter how skilled you are you'll only be rewarded half of the time while the other half is left to chance. These mini-games come up fairly often within the game. Overall, fans of the previous games may want to give this a rental. It's not a bad game at all, but I would honestly have preferred a more traditional fighter. I enjoyed all the various unlockables such as alternate costumes, new characters, and concept art. I picked Red Hot Rumble up for $10 USD at Best Buy, but if I had paid full price for it, yes, I would have been disappointed. Rent if you're curious, buy if you're a fan of the anime and not necessarily the games. 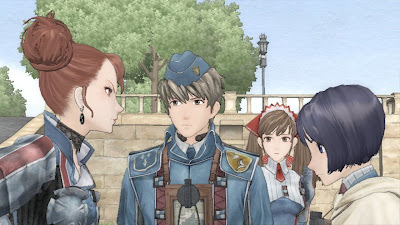 So far we have taken a look at the overlooked games of the Wii, DS, and PSP. Now let's shift our focus towards the HD consoles. Well, at least one of them anyway with a glimpse at some of the Playstation 3's most overlooked games. If you're in the market for a PS3 slim, maybe you can pick up one of these games to go with it! Think of this title as God of War-lite. 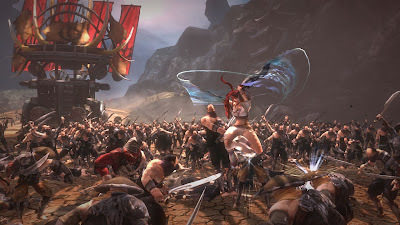 Featuring a strong-willed heroine with long, ravishing red hair, Heavenly Sword boasted huge production values. well-acted scenes, and a terrific score accompanying all the fireworks. Take down enemies with ease with the intriguing combat system or just mash buttons wildly. The choice is yours. You can pick up the game for cheap as it's been a Greatest Hits title for a while now. SPC reviewed this game on Thursday, so it seems fitting to add to the inaugural list of overlooked PS3 games. There's sixteen tracks set across four unique zones: fire, earth, air, and water. The game is a beauty to look at, and the ability to have custom soundtracks makes this game one to rock out to no matter what you're listening to. Race with up to fifteen other racers as you slip, slide, ride, and climb your way to the top! There's eight ranks of competition in all with enough variety in events and courses to keep you playing till next summer. Did I mention online play is great, too? 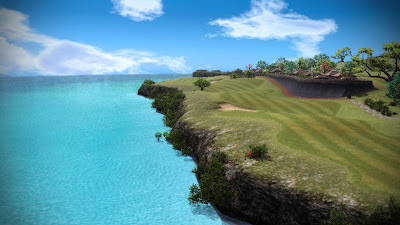 Known as Everybody's Golf 5 on the other side of the pond, Hot Shots Golf: Out of Bounds showcases some remarkable golf courses of which there are current eight of. Two of which are downloadable for purchase. 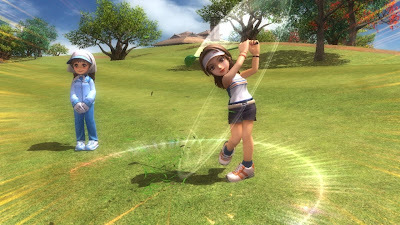 The game features two swing mechanics: the traditional three click system and the new club swing mechanic which emulates a real life swing with the analog stick. Online is a big drawing point with leagues, tournaments, and other easy-to-use options. If you want to pay the cost for DLC, you can play golf will Kratos and Sackboy of God of War and LittleBigPlanet respectively. 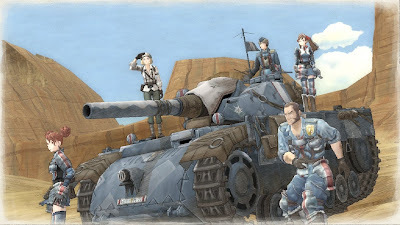 This strategy RPG comes from the studio that developed Skies of Arcadia, so you know it's worth a look. It features an incredibly unique art style of cel-shading plus a pencil-like filter. This title has been getting a lot of positive buzz and for good reason. 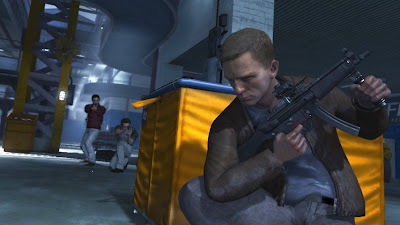 It's one of the best of its genre, and it fills a hole in the Playstation 3's library. Track this bad boy down while it's still available for a relatively sane price. While nowhere near the level of fantastic that Goldeneye is, Activision has done an admirable job of bringing Bond to current-gen consoles. The campaign takes events from both Casino Royale and Quantum of Solace. Though understanding the story without watching the movies may be a tad confusing. 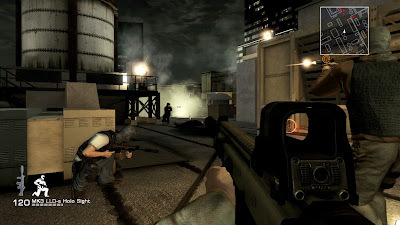 Multiplayer is decent enough for many players to shoot up one another in one of many modes including the one hit kill Golden Gun mode. Take the money you earn in multiplayer and use it to buy new weapons and gadgets for use. I was expecting another poor movie game, and I was pleasantly surprised. Perhaps you will be, too. 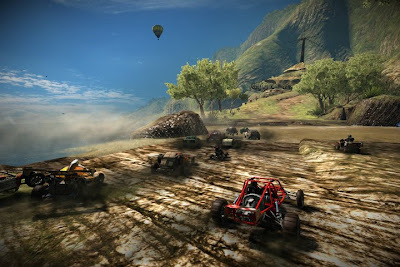 As stated in the review, Motorstorm: Pacific Rift has a photo capture tool. You just pause the game mid-race, select the option, line up your shot, and bam! There it is. Here's some of the many shots I took that I'd like to share. Welcome to Thursday night and a brand-new Playstation 3 review! 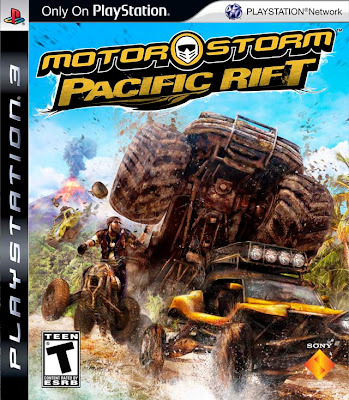 This time around we're focusing on Motorstorm: Pacific Rift. As with most review with photos of mine, I'll be showing the rest tomorrow. Let's start this review off with a Billy Joel song reference. They just might be the lunatics you're looking for. It's summertime, a time to sit back, relax, and act lazy. But why would you want to do that when you could be a lunatic instead? Hop aboard a plane to a mountainous tropical island, and race with other lunatics on rims of volcanoes, in lush jungles, and verdant plains. You can do just that with Motorstorm: Pacific Rift, the sequel to a game that received mixed reviews, the original Motorstorm. Does Pacific Rift offer a decent vacation package? The single-player in Pacific Rift is called the Festival. Progression is done through earning ranks. Depending on how well you do at a given event, you are awarded a medal-- either bronze, silver, or gold. You earn points depending on what medal you were given. 100 for gold, 75 for silver, and 50 for bronze. Earn enough points, and you will unlock the next rank which features more difficult challenges than the last. There are eight ranks in all, and the highest rank is near-impossible with its difficulty. Most events are simply two lap races with fifteen other vehicles. 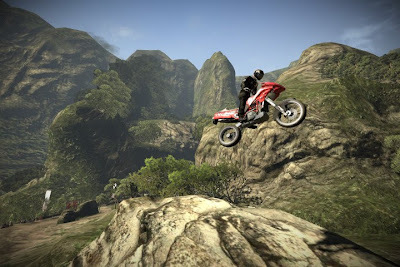 These sometimes limit what vehicle you can use, but other than that they're your typical races. However, there are two different types of challenges to keep things fresh. These are Speed and Eliminator. Speed has you driving through as a set amount of checkpoints around the track before time runs out, and Eliminator counts down from fifteen seconds, and whoever is in last place when the clock hits zero, that player is eliminated. The aim is to eventually be the last lunatic standing. These special challenges have to be unlocked usually by wrecking as few times as possible or by completing a race in a set time. There are four distinct zones on the island you lunatics race on. There's fire, air, earth, and water. Fire tracks are home to lava, magma, and rugged volcano terrain. Air features courses based on high mountain cliffs where driving off spells certain doom. Earth tracks are usually very bumpy rides with mud and sludge to slip up unwary racers. Finally, water tracks obviously have a lot of water, rivers, and ponds on them. They're usually tropical in design. Each island zone has four unique races to them adding up to an impressive sixteen tracks in all. The tracks are littered with shortcuts, filled to the brim with multiple paths, and full of peril. Learning tracks is a challenge with all of the possible paths. Some tracks are very difficult only because it's hard to see what's ahead or the correct way to drive. It gets annoying wiping out by smacking into a small rock only because you couldn't see it. As for the sixteen tracks, they range from rides along a volcano's residence, through a former sugar plantation, along a cliff-side view of the island, and many more. Each track takes at least a minute to complete a lap offering for some hectic laps and close finishes. The locales are lush and vibrant at this beach. Some days you don't feel like riding a buggy. Then why not drive a big rig instead? There are eight different vehicle types in Pacific Rift. Each has their own pros and cons. Bikes are fast and corner well, but it's easy for the rider to get jostled off in a hurry. Buggies are great for uneven terrain, but they handle horribly when mud is involved. Go SUNDAY, SUNDAY, SUNDAY with the monster truck. It's a force to be reckoned with, but it tips over rather easily. Each vehicle on each track has an optimal line, and it's up to you to find the one best suited for your vehicle. Each vehicle also handles differently as they should, so it's important to get a feel for each ride you hop on or into. Speaking of handling, Motorstorm: Pacific Rift handles quite well. You use the left and right shoulder buttons as the handbrake and accelerator respectively. The game features a boost mechanic similar to a game like Excite Truck where if you hold the boost too long your vehicle with overheat-- or in Pacific Rift's case, explode. Racing through water will cool your car, truck, or bike down to prevent such a disaster. Of course, other disasters like crashing will most likely happen a lot as you get a hold of the controls. There's no penalty for crashing other than losing time and a place or three. If you get turned around, you can always press the select button to reorient yourself in the right direction. No matter the time, it's always racing time. The action during races gets hot and heavy. Opponents get more and more aggressive as the rank of your races increases. They'll try to ram you into walls and other obstacles. The AI is pretty crafty, but of course, you can be crafty, too. You can ram your vehicle into opponents, or if you're riding a bike or ATV, punch other drives off their rides. You don't have to be sorry-- you're a lunatic! Lay the smack-down while you admire the scenery. 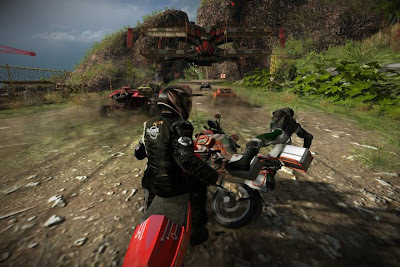 Multiplayer is all the rage these days, and Motorstorm: Pacific Rift doesn't disappoint with its brand of "wreckreation". You can play local split-screen with up to four players, or you can hop online play. Ranked matches put you against opponents of your own skill level, and it does an adequate job at that. You can also create your own custom races with friends and foes far away. Online is silky smooth with an occasional hiccup when things get crazy. Other than that, it's quite good. Online leaderboards compare and display your best times with others in either ranked or time attack modes. Pacific Rift is a gorgeous game. Everything from the vibrant visuals to the silky smooth framerate creates an unforgettable package. It's so good, the developers left a photo capture tool for players to share their shots with others. If you don't like the game's soundtrack of rap and rock, you can utilize a custom playlist featuring your own music while you race. Just be sure to turn down the sound effects or you won't be able to hear it! Pacific Rift truly is a marvel to look at. 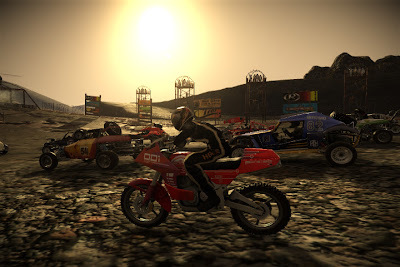 Motorstorm: Pacific Rift is a fantastic arcade racer for any Playstation 3 owner. It's packed with a lot more content, tracks, and settings than its predecessor, and it's just a more complete package and a more enjoyable experience. Despite a high difficulty and track problems, Evolution Studios has down a terrific job fixing what was wrong with the original and making a sequel that is one of the best racers any console has to offer.